These are looking fantastic. Can't wait for them. Do you guys really mix you Marvel and DC Comics figures? Really? Sometimes when I do pictures for comics or something, but I really don't care if the scale is off since they are two different lines. I've never understood that argument either. I get it if you want a Spider-Man and Sandman that scale properly, but Superman and Spider-Man do not have to be in scale with each other. Hell, everyone keeps comparing the Icons scale with Marvel Legends, but they never seem to care that the Figuarts don't scale with Marvel Legends. In fact, the DC Icons scaled quite well with Figuarts. 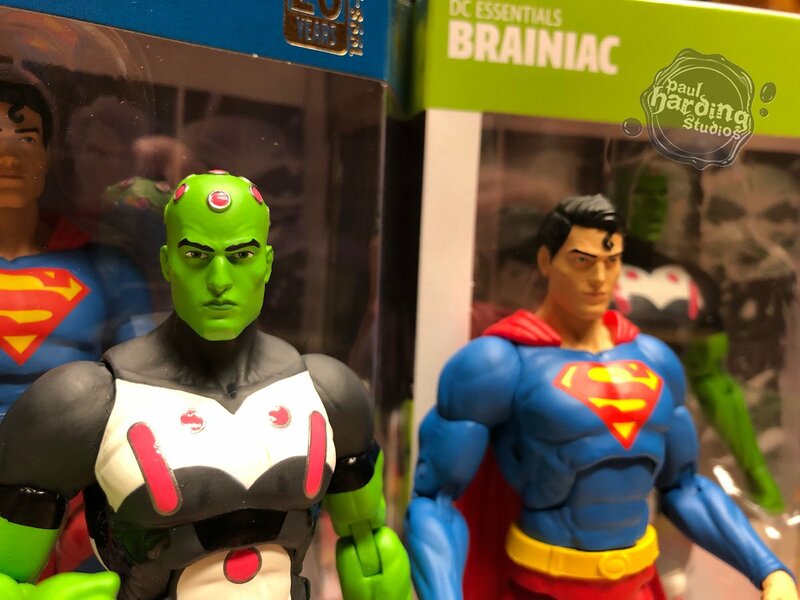 I'd like it if these new DC Essentials had a few accessories, but I usually just pop on one set of hands and seldom swap them out. I would prefer it if they came with weapons and effects pieces over a dozen slightly different hands. I constantly change up the way I have a figure displayed on my shelf, so I like options. Plus, I like to do multiple pictures with my figures. As such, I want different hands for different actions. Furthermore, Flash is a character that runs, it should be a given that he should come with fighting and running hands, especially when they couldn't even be bothered to actually give him any sort of effect or accessory to begin with. 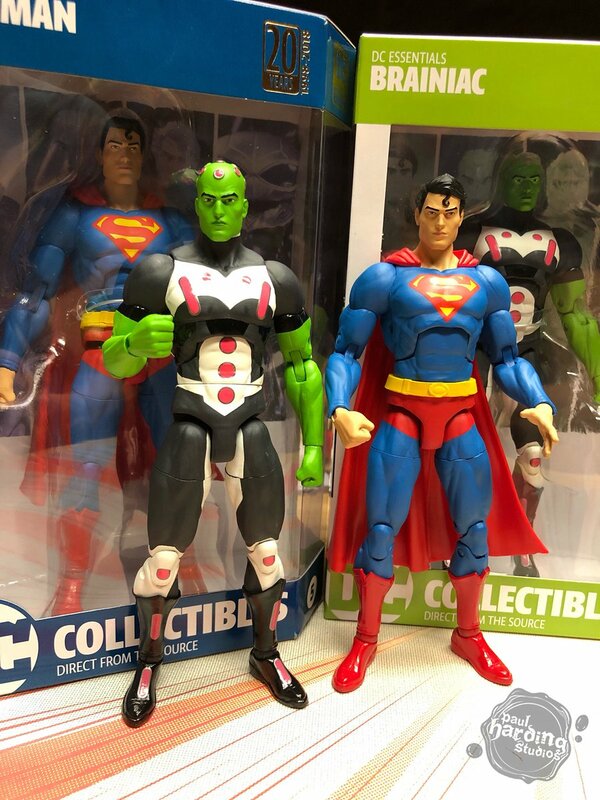 Given that these are geared to collectors the lack of accessories and alternate hands/heads (especially compared to Icons) is giving me no reason to get into this line at all. Even if I liked that Deathstroke design, which I just really really don't, I can't imagine being excited for this figure given all he has are the sword and a pistol he apparently can't even hold. I don't care for that Deathstroke either. He looks cheap, Mattel cheap. I expect a figure that looks like that to be part of Mattel's $12 kids line, just without all of the articulation. Also, what is up with seeing the ab crunch bolt on the sides of Batman's body? It makes it look like he just got shot. ANyway, I was planning to give this line a shot by picking up Flash and RF, but I think I'll just wait for them to be discounted on Amazon and pick them up when they're around $15. Of course, that's provided the line hasn't been canceled by then as I have no faith that Essentials is even going to make it past 2019. It's just a shame that my poor Icons Flash is lonely as he will never have a villain to fight. Heck yeah I want to mix my DC and Marvel figures- at least for some cool team-up or VS. pics. At 7in these would look cool fighting my NECA AvP guys and other NECA movie figures- but overall, their use is very limited for what I look for in a toy. So other than maybe a Batman and Deathstroke (to go up against the Predators) I just have zero need for this scale. 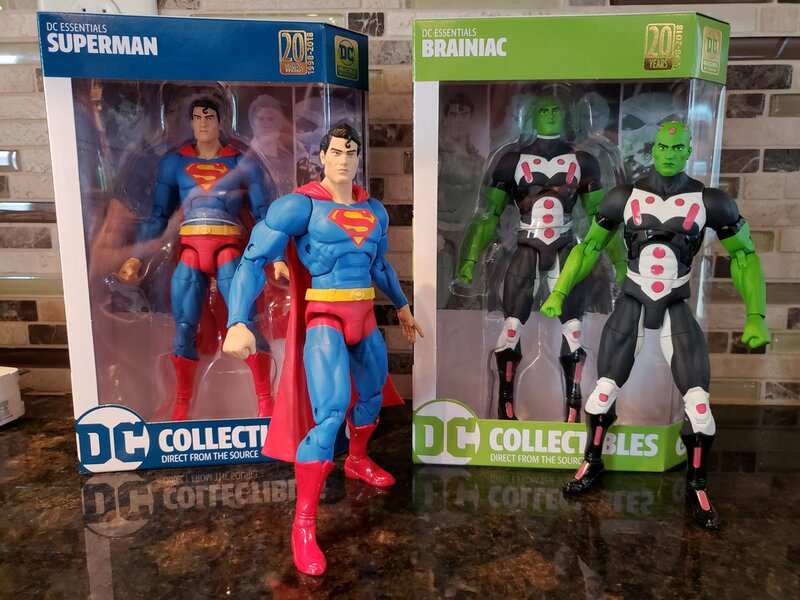 Mattel is starting to do better with Multiverse, so that's where my $$$ will go for DC stuff. poor Icons Flash is lonely as he will never have a villain to fight. True. And sadly, he isn't real enough to change the timeline. Looks like Jay C has received a sample of the first wave of figures. He's doing a live stream right now but hopefully we'll start seeing some reviews soon. Eh, just give me the review for Flash already. I don't care about Batman. Darn it! My initial concern turned out to be true,; they can't do high kick nor move straightforward their legs backwards like the lousy ML. Oh, sure have double jointed knees, but what good use they can be when the thigh mobility is garbage?! 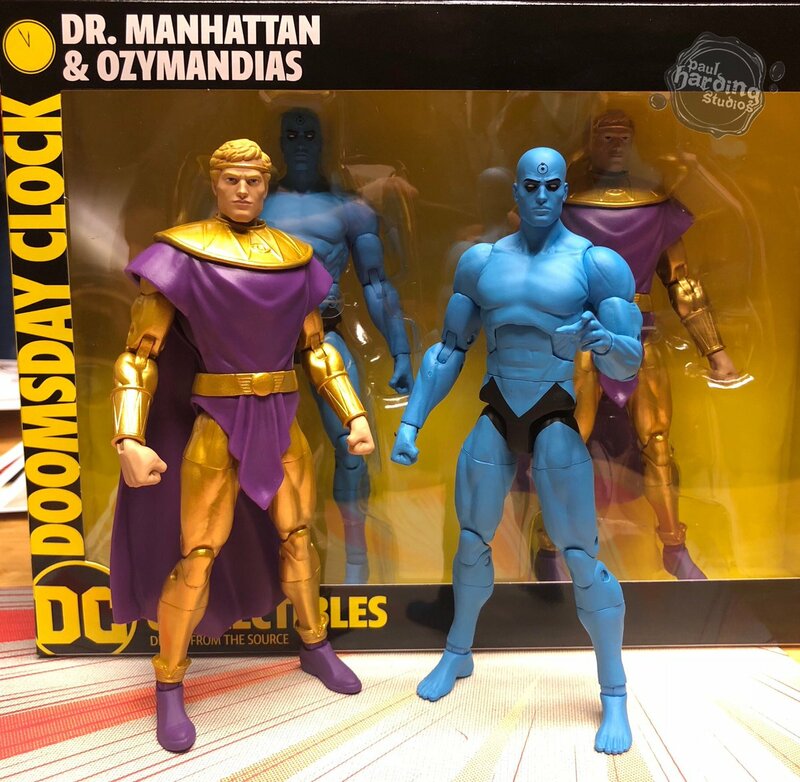 I was really looking forward to this line, hoping for finally being able to get great affordable DC action figures, only to be dissapponted again. Great, the upcoming Flash won't be able to run properly and if they made Bane, he wouldn't be able to break Batman spine. I rather have simpler (and cheaper accordingly) action figures similar to 2012 TMNT' articulation with actual good functioning thigh joint. http://metzotza.blogspot.co.il/- toy reviews in Hebrew, one may use google translator. Jay C's review of Flash and RF was do disappointing. Not only do they lack accessories, but the painted on logos look so cheap. They do not look like $25 toys. As for the lack of accessories, those punching hands make every running pose Jay put them in look retarded. Hey, man. Not to get all PC, because I ain't about all that, but could you refrain from using the R word? I know it's your go to word when expressing displeasure with something, which is at least half your posts, but maybe? I might be the only one who actually kinda like the look of flash and Reverse Flash. I’m definitely gonna give those two a try and pick them up. I think they're absolutely great. I'm definitely getting them. In Jay's review he says the head sculpt is the exact same, but I'm pretty sure they're not. When he turns them sideways, you can clearly see the noses and mouths are different. Last edited by Tomax; 06-15-2018 at 05:04 PM.. 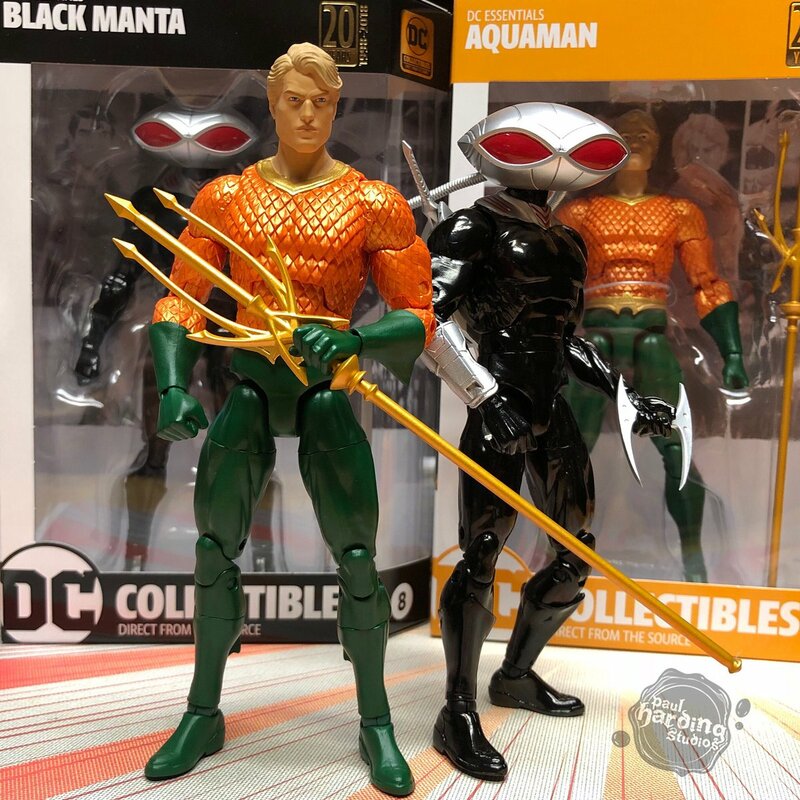 I liked confirmation that Black Manta will be in the movie and his helmet looks pretty faithful. So I'm gonna post this question in a couple other relevant threads, but does anyone who has the DC Collectibles Greg Capullo Batman (the standard version) know if his utility belt is a piece that is wedged between his lower torso and crotch or is it a piece that just slides over his waist? I turned the waist on mine and saw gray underneath so I would say that it just slides over the waist. Those look awesome! 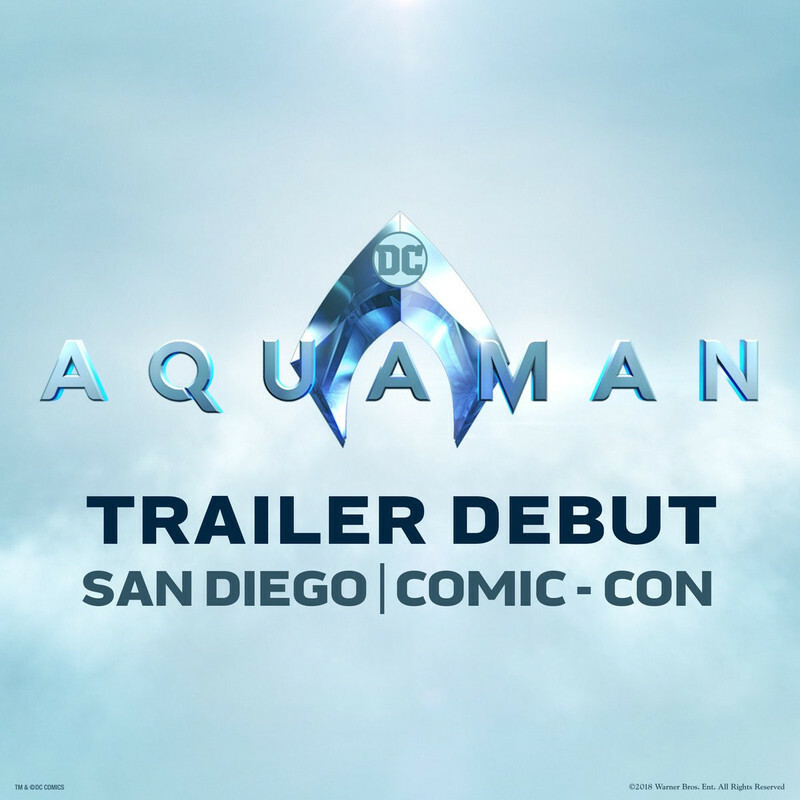 Especially Aquaman and Manta! Are those pics for Sdcc or are these coming out soon? I know Flash and Reverse come out next week. They were samples that were sent to Jason Fabok and he shared these images on Twitter. DCC did an unboxing video on FB for the first wave last week and mentioned that the first four were out now. I think he misspoke on that bit of info but hopefully they will be out soon. Not bad. 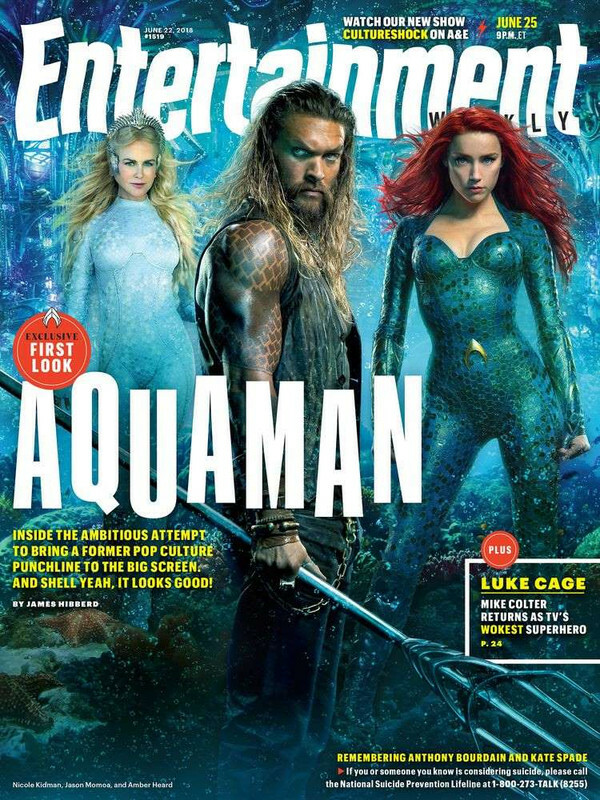 It's funny and sad that they had no issue giving Aquaman sculpted armor and a trident but couldn't be bothered to give Flash and RF alternate running hands despite them being on a generic painted details body. I'm confused on Superman though. 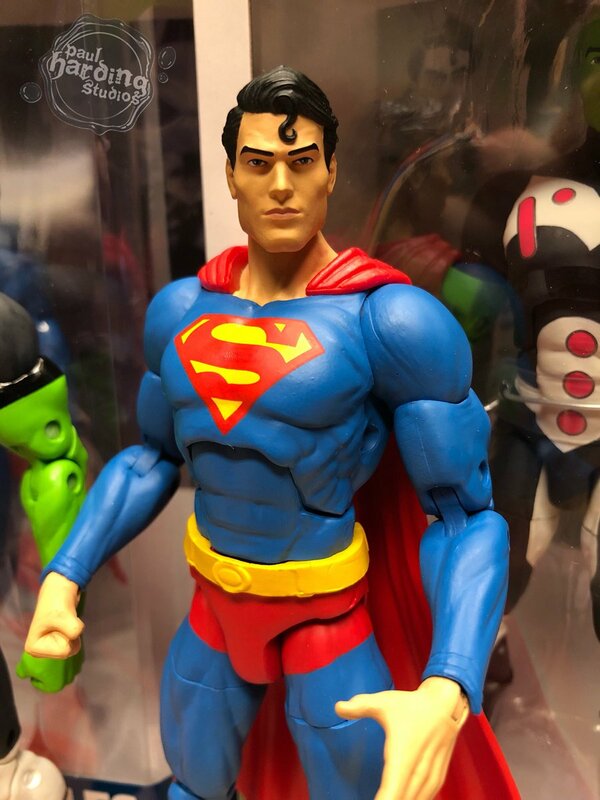 I thought they were doing the Rebirth version, but he looks to be the classic one.